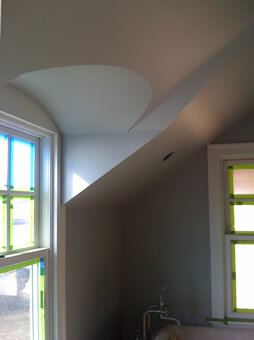 Complex curves and lines in a remodeled older house. We did a lot of work to bring it all into alignment. 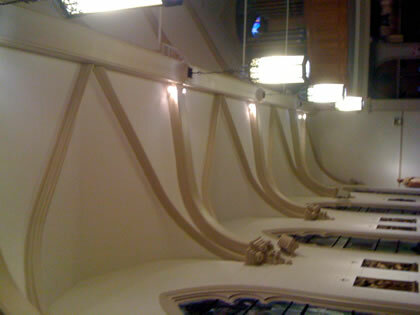 We needed to make the lines, arches, diameterss per plan. 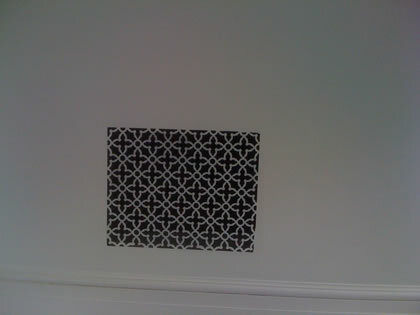 The lines needed to be perfectly straight and parallel. 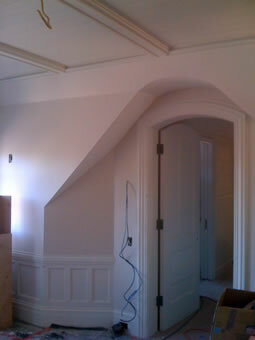 More fancy plasterwork. 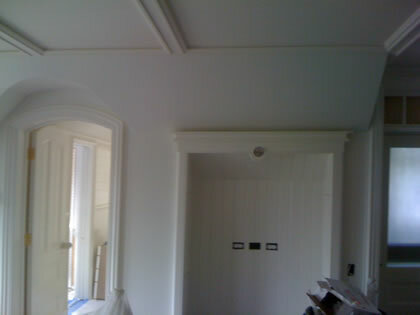 We had to plaster around existing woodwork. 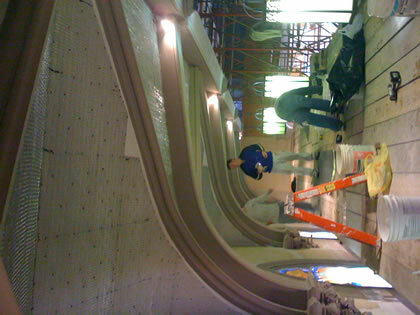 A curved ceiling done in wire mesh. 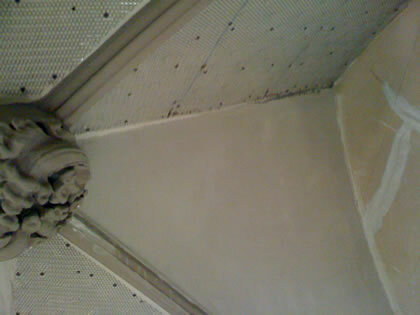 Existing condition in church, after tearing out really loose plaster. 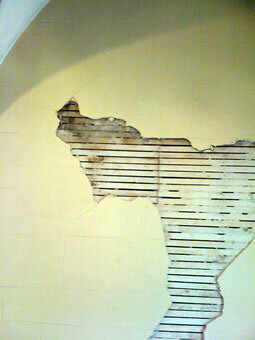 On this wall, the wood lathe (strips) had disintegrated and the plaster was pulling away. 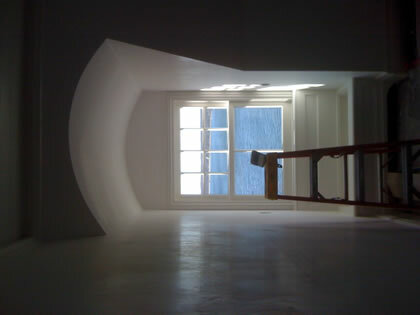 We removed the bad plaster. We repaired the base using cement board and Durabond, and then put a new plaster skim coat on and replicated the etched grout lines. 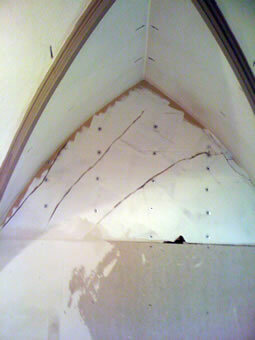 Same wall that had plaster removed. We mudded and screwed in cement board. 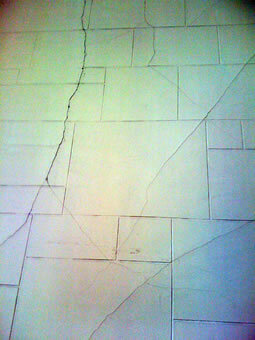 We v-ed out existing cracks to prevent recurrence. Wire mesh is used with long fasteners that are screwed into the rafter (ceiling joists) so we don't need to rely on the strength of the nails that hold the lathe to the framing to hold the added weight of the plaster. 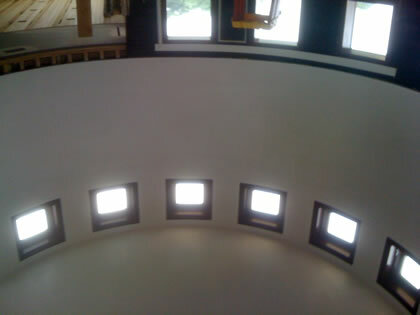 In this photo, Jack, Luke and Bart are plastering curved ceilings. 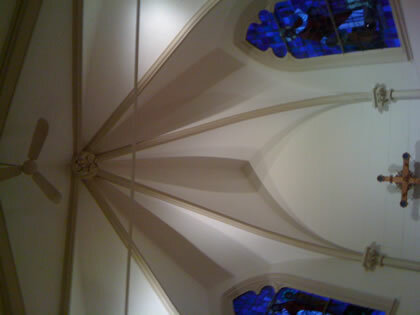 We located the framing, snapped lines and are installing wire mesh in this photo. 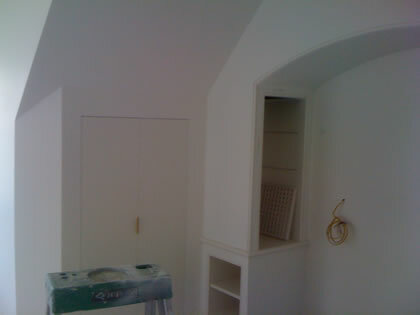 We curved the ceiling over angled framing. 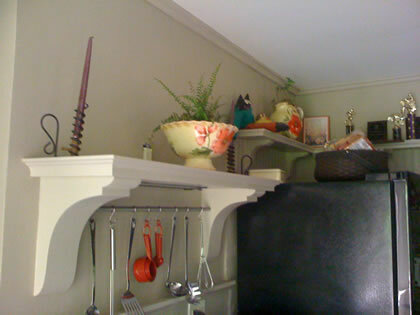 This photo shows curves, perfectly parallel lines, beads, etc. 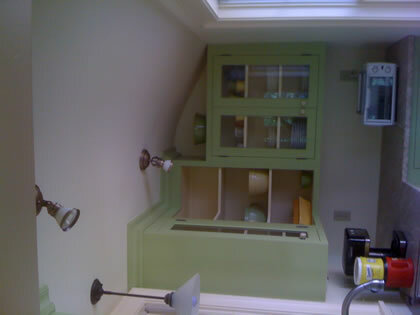 Everything is plaster except for the built-ins. If you experience difficulties viewing this website, or have suggestions on how it can be improved, please contact the webmaster.